No matter how much insulation you have piled in your loft, leaving your aperature vulnerable to heat loss could be detrimental to your home. The Loft Access Company can provide a variety of loft hatch solutions. 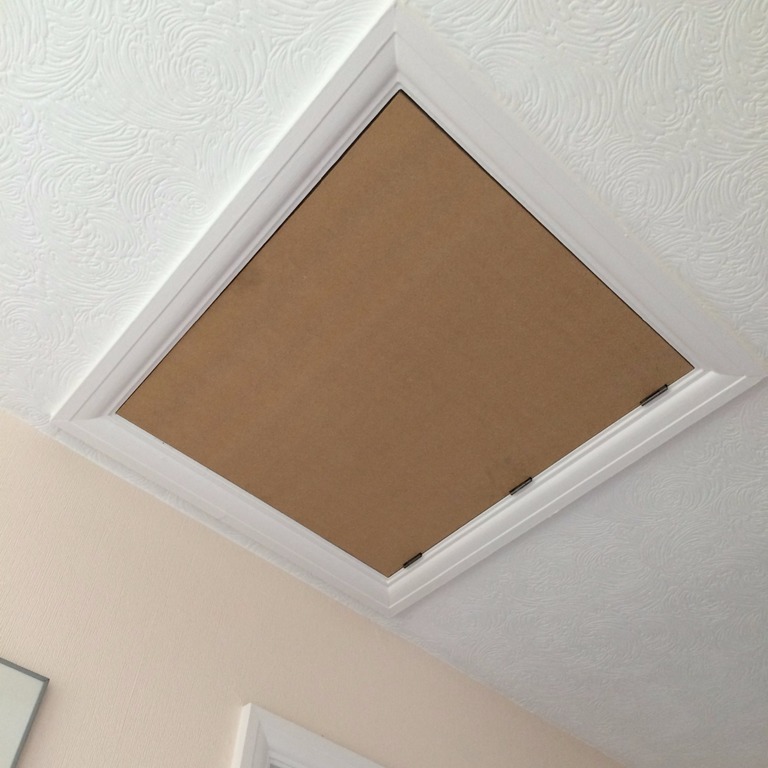 As the only entry point into your loft space, the loft hatch needs to give safe access into the roof above. A requirement in most buildings, loft hatches are also necessary for maintenance, for general access and ventilation. It is regularly the case that the loft hatch has to be updated when installing a new loft access ladder. Older homes in particular have smaller access aperatures and many ladders on the market today require larger hatches or more swing space. 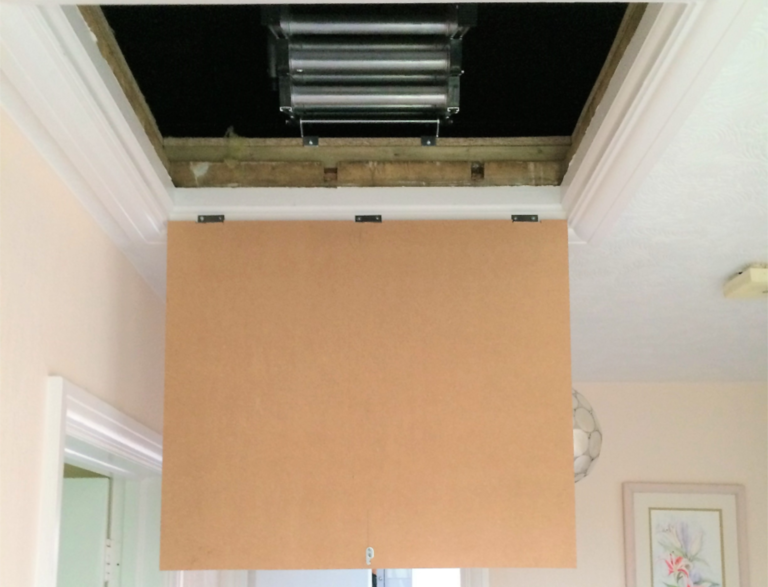 The loft hatch is also where much of the home's heat can escape through, and therefore must be thermally protected. 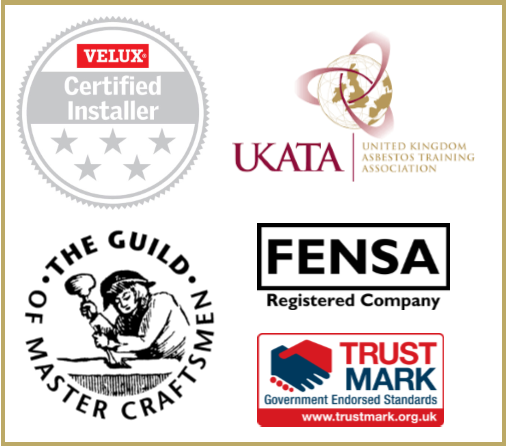 All the prices quoted below, or on your custom quotation, includes all structural changes needing to be made to your aperture and the installation of all necessary fixings. Please get in contact on 01753 840 485 for further information on all our services. Hinged down loft hatch installed complete with hinges and touch-catch. Excellent option as it can be correctly cut to size and installed within any sized opening. Operated with the operating pole that is provided. Price quoted includes the installation of new door lining, door stop and architrave around the opening to match existing throughout the property. Insulated loft hatch with built in draught excluder. Available in only one size. 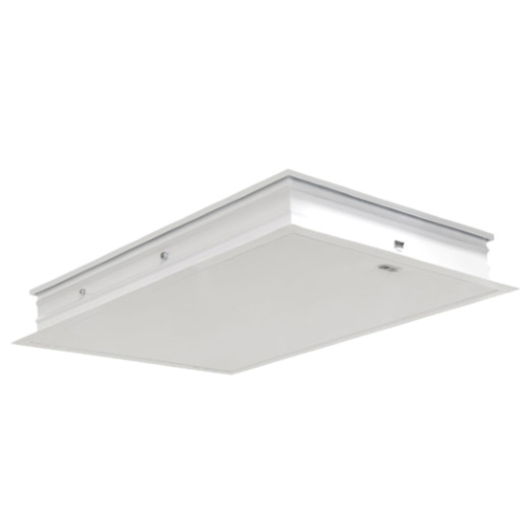 Price includes enlarging the existing loft hatch and altering any discrepancies to accommodate this new hatch unit. This loft hatch is a white finish and will not require painting. Ideal for relocating the hatch to a different room. 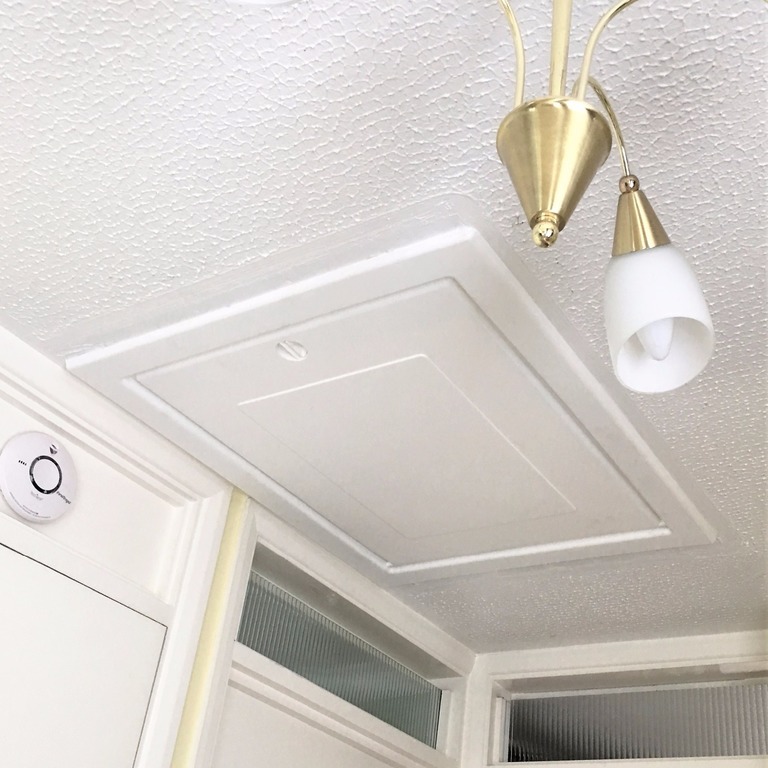 Insulated loft hatch with built in draught excluder and an integral spring hardware system to allow for safe access to the loft. Installation includes altering current apeture to accommodate hatch unit. This includes removal of the existing lining and architrave ready to accommodate the new unit. "A loft ladder and boarding over joists has been installed to provide access and storage space in the loft area of our bungalow. 2 craftsmen completed the whole job in under 6 hours. All work is exemplary, cleanliness ensured, leaving our home spotless. A swift, efficient quotation and job start were provided by this company by polite, helpful and efficient staff at all times." "We had numerous 'experts' advise us that our only solution to get access to our loft room was via a loft ladder not a static staircase. Rob provided options previously missed and we settled on a spiral staircase. The installation of our bespoke stairs has enriched our home. 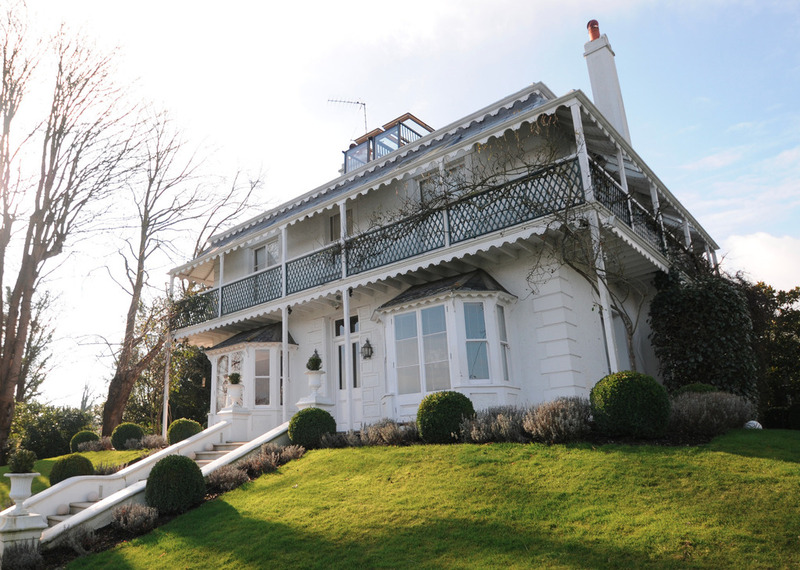 Rob and his team were informative, professional, courteous and a pleasure to deal with from start to finish."